The ability to run easily run reports and uncover important data that on is crucial to making informed decisions about future online marketing and fundraising efforts. Salsa's intuitive built-in reports deliver the "at a glance" dashboard insights you need to track subscriber growth, subscriber churn, and conversion rates of your sign up forms. To further your mission, you need an active, growing list of supporters that raise their voices on your behalf. Salsa's flexible sign up forms can help you turn more website visitors into subscribers, volunteers, supporters, advocates and more! Create branded forms and petitions in minutes with easy to use drag and drop tools. Configure options and adjust the look and feel to precisely match your organization. Use images and formatted text to create compelling calls to action. Power and flexibility is right at your fingertips. 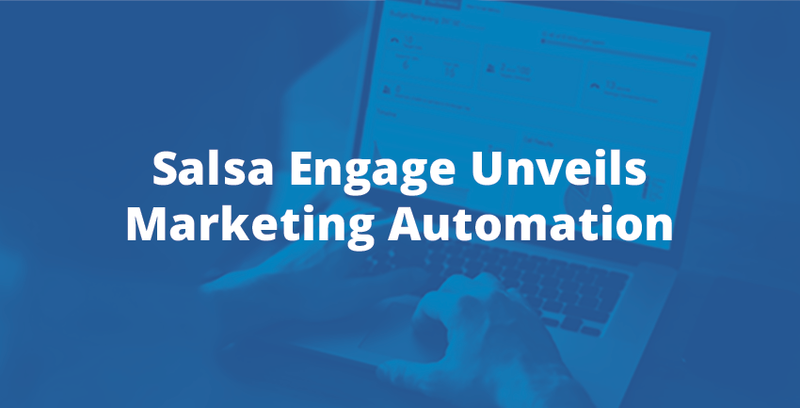 With Salsa Engage, you can build segments through simple rules and configurations, or you can create combinations of queries and groups within groups. 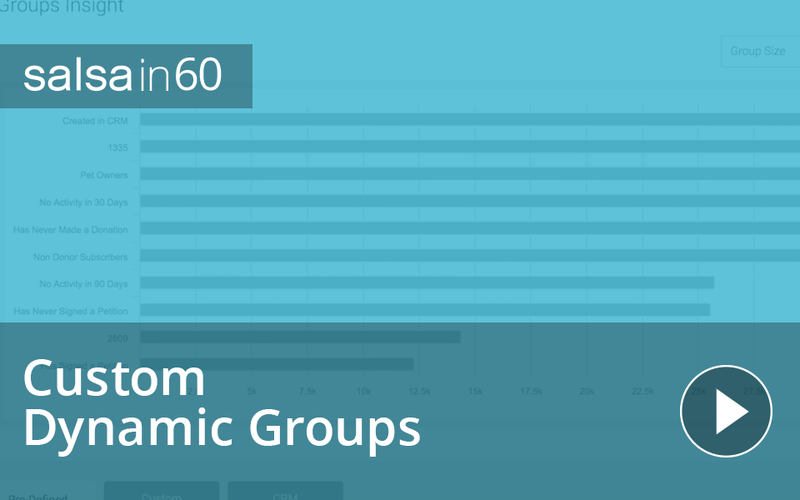 Segment audiences by demographics, past interactions, geographic location, interests, professional network, or other custom fields. Then watch your lists or groups dynamically update in based on supporter activity. Salsa helps you grow your supporter lists and segment them so that each interaction is personalized and relevant. Say goodbye to batch and blast communications and adopt a game-changing, targeted approach to engagement. It starts with list segmentation. Accurately tracking social media results can be a bit of a headache. However, Salsa Engage synthesizes all of your social media engagement into one dashboard so you can see the impact of your posts. 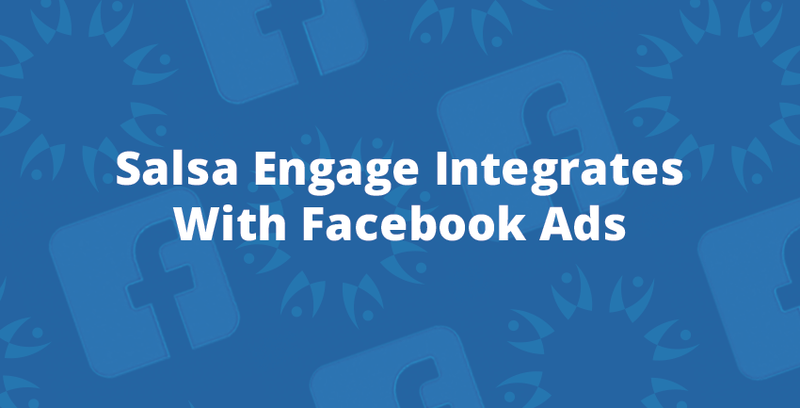 In one place, you can monitor clicks, shares, comment and conversions!